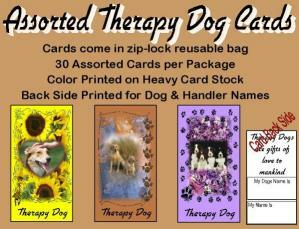 The Package of 30 Therapy Dog Cards are printed on both sides using heavy card stock paper. They are not laminated. 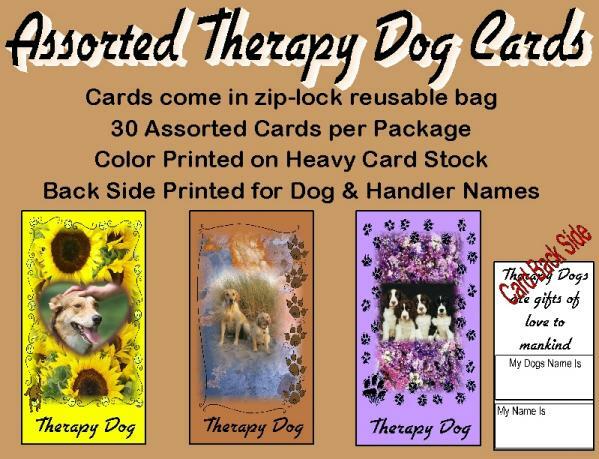 There are 30 assorted cards that say “Therapy Dog” on the front. The back has a place for you to write your dog's name and your name.